MILWAUKEE, WIS. — The national law firm of Quarles & Brady LLP today announced that firm chairman emeritus John W. Daniels Jr. will be awarded a Doctor of Business degree from the University of Wisconsin-Milwaukee and the Board of Regents of the University of Wisconsin System. UWM’s honorary degree recognizes a career of extraordinary accomplishment. Daniels is being recognized for his distinguished background in the Milwaukee community as a business professional, leader and change agent of the highest integrity. He is a strong advocate for diversity and inclusion, and is a philanthropist with a solid commitment to serving the community. Daniels will receive his degree and deliver an address at the University of Wisconsin-Milwaukee’s spring commencement ceremony on May 18. As chairman of Quarles & Brady, Daniels, a Harvard law graduate, drove numerous value-creation initiatives. During his tenure at the firm’s helm, he led Quarles through a fundamental transformation, shifting from the traditional operational model for law firms to a modern client-centric, business-minded organization. Daniels drove that fundamental cultural shift in the midst of a challenging economy, leading the firm to significant growth while much of the legal industry declined. Daniels has been well recognized for his leadership in the business, civic and legal communities. Among many more recognitions over the years, he has received the American Bar Association’s Spirit of Excellence designation and the National Bar Association’s Legacy Award. 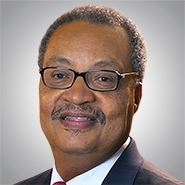 The National Law Journal named him as one of “The 50 Most Influential Diverse Attorneys in America,” the Business Journal of Milwaukee listed him in its “Power Book” and honored him with the 2014 Central City Business Award in Lifetime Achievement and he was named 2013 “Managing Partner of the Year” by a group of his managing-partner colleagues in U.S. law firms. In December, Daniels was named chairman of the Aurora Health Care board of directors. To view University of Wisconsin - Milwaukee’s release, please click here.